Our software can display all scoreboard data from the Daktronics All Sport 5000 without the need of the Character Generator. While other software have limitations on the data that can be displayed, we can show the stats of all players on the screen. Our biggest benefit is that you can upgrade your old 7 segment Daktronics screen to our fully digital video board and still control it from the same easy to use console! The latest version of our wireless board allows a Daktronics All Sport 5000 console to be able to control a Fair-Play Scoreboard as well as our scoreboards. 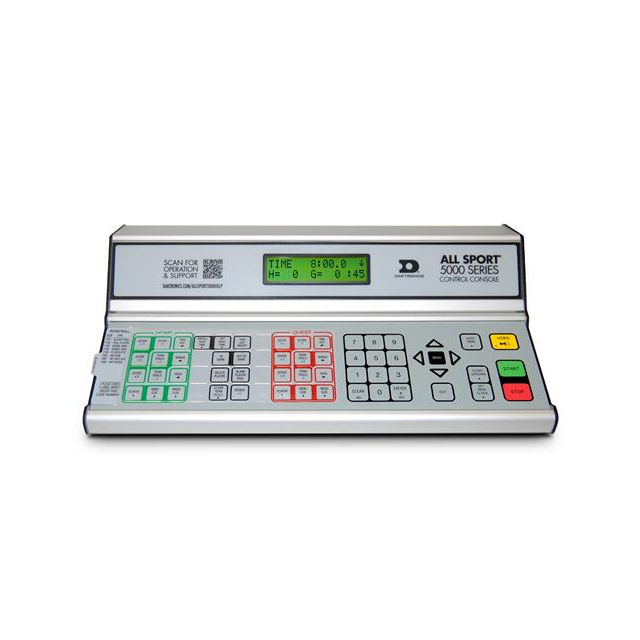 Our software requires at least Daktronics Firmware 4.2.2. If your console has an older version it can be easily upgraded to 4.2.2. Please click HERE to see the Daktronics Firmware Revision History.